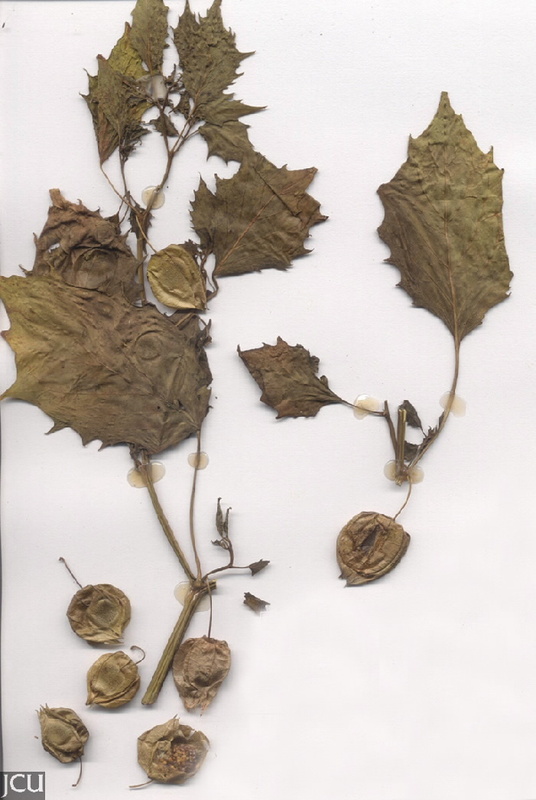 Leaves alternate, ovate to ovate-lanceolate to 6 x 3 cm. Flowers on pedicels 20-25 mm long, corolla 5-angled, cream with large brown spots towards the base of the tube. Fruit a capsule with 10 angles. 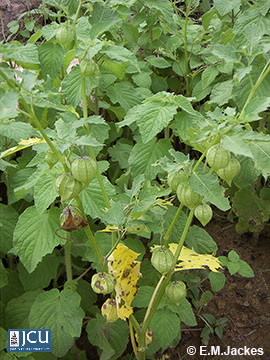 Nicandra has a blue corolla and calyx-lobes are longer than the tube when fruiting.